Associate Professor David Abbott is a physicist-neuroscientist and Head of the Epilepsy Neuroinformatics Laboratory at The Florey. He is an Australian National Imaging Facility Informatics Fellow and an Honorary Principal Fellow in the Faculty of Medicine, Dentistry and Health Sciences at The University of Melbourne. 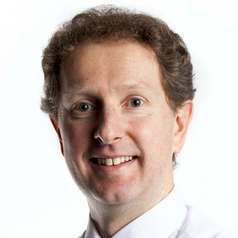 David’s research is largely focussed on clinically relevant advances in human brain mapping. This includes pioneering work in neuroimaging methodology including structural and functional MRI analysis and simultaneous EEG/fMRI. David’s work has an emphasis on developments that improve our understanding of epilepsy, although many of his methods are utilised in brain mapping studies more generally. He has authored over 100 papers in well-regarded international journals, with a cumulative citation count exceeding 5,000 according to Google Scholar. Portions of his research work are also embodied in publicly released software, including iBrain and the iBrain Analysis Toolbox for SPM for image processing, analysis and visualisation; the iBrain Laterality Toolbox to help objectively quantify laterality of brain functions such as language; and SOCK for fully automated noise classification and filtering of fMRI data.